Hamas and Israel have confirmed that Israeli soldier Gilad Shalit, who has been held hostage for five years by the Palestinian group Hamas, will be freed in November in exchange for 1,000 Palestinian militants held by Israel. ­Following an emergency Cabinet meeting, Israeli Prime Minister Benjamin Netanyahu announced on Tuesday that a swapping deal had been reached with Hamas. In a televised address to the nation, Netanyahu said he had talked to Shalit's parents, telling them: "I'm bringing your son home." Netanyahu also declared to his Cabinet that he had instructed negotiators meeting in Egypt to sign off on the deal last Thursday. "Today it was finally summarized and both sides signed," said the Israeli Prime Minister. "If all goes according to plan, Gilad will be returning to Israel in the coming days," he added. 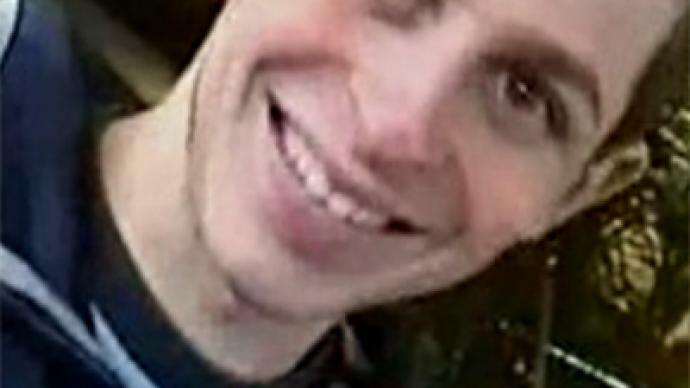 ­Gilad Shalit, a staff sergeant in the Israeli Defense Forces, was captured in a cross-border raid on 25 June 2006. Hamas has been holding him hostage ever since, with only three letters and two recordings of him released to prove his continuing survival. His story and the efforts made by many parties to secure his release have been widely publicized, making Shalit one of the symbols of Israeli-Palestinian conflict. The details of the deal, as RT’s Paula Slier reports, include releasing 350 prisoners at the initial stage. After that, Shalit will then be taken to Egypt, which mediated the deal. His arrival there will be followed by the release of another 150 prisoners. Finally, after Shalit returns to Israel, the remaining number of prisoners will be released. Shalit is expected to go home in early November. All in all, Israel is expected to release around 1,000 Palestinians held in Israeli prisons, many with life sentences. Reports suggest that the swapping list might include Marwan Barghouti, who has five life sentences in Israel. Barghouti, an imprisoned Fatah chief once dubbed "the Palestinian Mandela," is seen as a possible future leader of the Palestinian people. Previously, Israel had refused to include him in the deal. 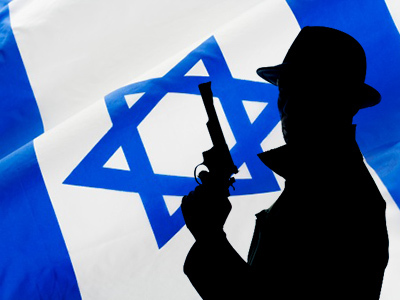 With or without Barghouti, the security implications of the deal are well understood in Israel. "We can't guarantee that the released prisoners won't issue terror attacks, but this is the best deal we could ever get," Yoram Cohen, head of the Israeli Security Agency, explained. "Neither Israel nor Hamas surrendered. The risk we are taking is on a level and a security challenge we will be able to deal with. There are 20,000 fighters in Gaza, and another 200 terrorists won't make the world crash down upon us," he added. Hamas, the Palestinian group ruling Gaza, has also confirmed the swap . 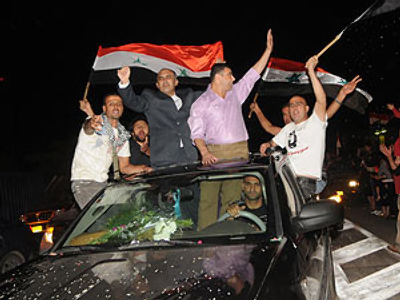 Thousands of Palestinians flooded the streets of the strip, celebrating the expected release of hundreds of their compatriots from Israeli prisons. Hamas chief Khaled Mashal described the exchange with Israel as a "national achievement" for the Palestinians. 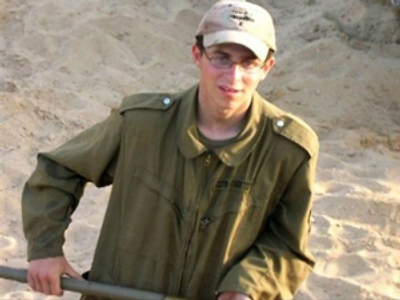 The Israeli government has been trying to reach an agreement with Hamas since the capture of Gilad Shalit, who was 19 years old at the time. However, the talks stalled on several occasions as the parties rejected the terms of the prisoner swap. ­Hani Al-Basoos, a political analyst from Gaza, says the swap is a big victory for the Palestinians, who managed to persuade the uncompromising Israeli government. ­"There are about 7,000-8,000 Palestinian prisoners still in Israeli jails. Many of them have spent years behind bars, decades, some have spent as much as 30 years," Dr. Ayman Shaheen, Professor at Al-Azar University told RT. Shaheen added that he does not see this exchange as sign of a thaw in Israeli-Palestinian relations, just as there was no political change after a similar exchange in 1985, when two Israeli soldiers captured in Lebanon were released for more than 1,000 Palestinian prisoners.